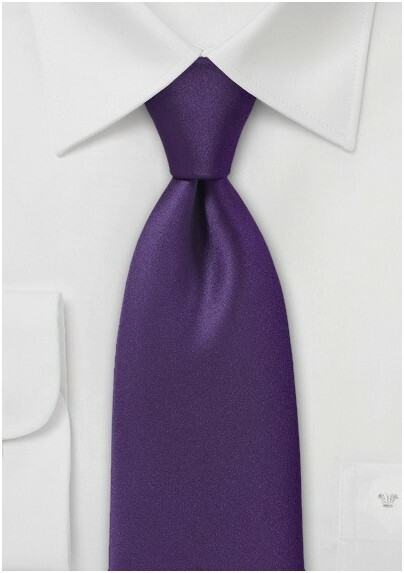 Look simply divine this season by accessorizing your favorite menswear pieces with our single hued necktie in a dramatic shade of Deep Purple. This versatile and complex shade of purple mixes with a broad assortment of textures, patterns and colors. This handsome accessory had no bounds and looks just as stylish with a chambray button down as it does with a three piece pin striped suit. 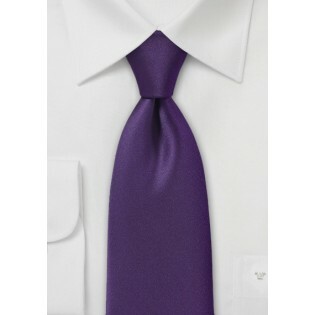 Crafted from a wrinkle free, stain resistant microfiber.